7/12/11 – Frankfurt, Germany : CEO Josef Ackermann is the intended target of a fully operational explosive parcel which is mailed to Deutsche Bank headquarters. Bank security staff identify the device during x-ray screening, and it is later neutralised by police. A claim of responsibility is recovered from the device, which is published in the corporate press. 9/12/11 – Rome, Italy : Chief Director Marco Cuccagna of Italy’s tax collection office, Equitalia, receives a letter-bomb which explodes after he opens it, causing damage to his hands, blowing off part of his finger and almost blinding him after his glass desk shatters in the explosion. 12/12/11 – Paris, France : The Greek embassy in Paris is the target of a third explosive device which is identified and neutralised. THREE PARCEL BOMBS IN THESE DAYS ARE TRAVELLING TOWARD BANKS AND BANKERS, TICKS AND LEECHES. WITH THESE SMALL BUT RESOLVED ACTIONS, WE OF THE EAT & BILLY ITALIAN CELL JOIN IN THE NEW ANARCHIST INTERNATIONAL, THE INFORMAL ANARCHIST FEDERATION AND INTERNATIONAL REVOLUTIONARY FRONT. WE HAVE THIS NAME IN SOLIDARITY WITH THE INDONESIAN FAI, WITH OUR BROTHERS EAT AND BILLY. WE DON’T NEED SPECIALISTS OF ACTION, ANYONE CAN ARM THEIR OWN HANDS, ANYONE CAN ASSEMBLE THEIR OWN GIFT PACKAGE. WAR ON THE EUROPE OF THE BANKERS, DEATH TO THE LEECHES THAT GOVERN US. A few days ago we were summoned for a preliminary investigation by the anti-terrorist unit, in the prisons where we’re detained. This investigation concerns our possible prosecution according to Article 184 of the Penal Code, under which ‘Whoever publicly causes or triggers in any manner a felony or misdemeanor commitment, shall be punished with up to 3 years imprisonment.’ The investigation refers to the text which we had published in solidarity with the anarchist hangout Nadir. Quick translation of the suppressed news from Mexico of an explosive attack against one of the most notorious and vilified multinational corporations : Monsanto. The CARI-PGG take responsibility for attacking this biotech agribusiness giant. During the week of 22 to 27 February we sent a parcel bomb to the head of Monsanto Mexico, which was made in the same way as the explosive packets which were sent to the two prison directors. We know that news of this package was merely hidden like last two and also the last one which was sent to the Embassy of Chile [for the 14 August Hungerstrikers]. But many people will wonder why Monsanto?. Monsanto is one of the world’s most powerful companies that own most patents of genetically modified corn among other patents. Monsanto for its history of existence, dating from 1901, is dedicated to destroying the planet through different ways: pollution of rivers, oceans and ecosystems through the discharge of fertilizers and agrichemicals, destruction of native cultures and their customs, privatization of Nature, poisoning the land, making it infertile, producing transgenic corn and preventing people from planting native corn anymore or Creole. Monsanto contributed to pollution, death and illness of millions of Vietnamese during the war between Vietnam and the United States. At that time 80 million liters of herbicides (chemicals) were sprayed on Vietnam, in an area of ​​approximately 1.5 million hectares, to clear forests and facilitate the bombing of the population. Among the products to be sprayed was Agent Orange, a powerful defoliant. These chemicals destroy forests, rice fields, entire crops, poisoned the waters and caused serious environmental damage, plus poison people and cause diseases like cancer and birth defects. Monsanto has hired the world’s largest mercenary company “Blackwater” to spy on activists dissatisfied with their destructive activity, saying that Blackwater and Total Intelligence could infiltrate the environmental movement if it was necessary, Monsanto paid $ 127,000 Total Intelligence in 2008 and $ 105,000 in 2009. For these and many other reasons, we have to attack this biotech company and those who remain standing. Against these companies that threaten nature all our actions have to be as radical and powerful as the damage they perpetrate against the planet. We know that in time (or at least that’s what is wanted), the director of Monsanto Mexico and all the individuals who support this company will not sleep easy, expecting at any given night a powerful explosion will destroy their house. Ask the agents of Monsanto who has infected livestock when they discharge their toxins in the water, just ask Monsanto who has has forced thousands of peasants to sell and consume genetically modified product and those who simply refuse stripping them through repression about terrorism, ask them about their complicit governments and their paramilitaries. We see no moral reason why we should care about these entrepreneurs and their bourgeois families, rich and powerful, who feel they own the world and feel the right to modify and manipulate life on this planet at will, justified only by having money, having ‘manners’, having cars; – to have food every day, just to throw most of it away. They have enriched themselves at our expense and cost of our families, our loved ones and our comrades in struggle, that unfortunately come into this commercialized world of work by not having many other options or alternatives. These companies and their families, their wealth from the exploitation of nature and animals, destroy ecosystems, poisoning rivers and oceans. An eye for eye, tooth for tooth!!! Capitalism is a social relationship and capitalists have names and address!!! 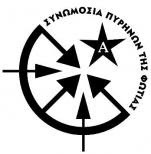 This text is the claim of responsibility for the attack against Justice Minister Harris Kastanidis on the 2 February by the Informal Anarchist Federation / Conspiracy of Cells of Fire. 2 February 2011 – Greek police defused a parcel bomb addressed to Justice Minister Harris Kastanidis, two months after the first wave of similar bombs sent to embassies in Athens and governments abroad. The suspect package was found after security checks at the ministry in Athens. “It contained explosives, a battery and some wires. The mechanism found was similar to the November parcel bombs,” said a police official, who declined to be named. The trial of over a dozen accused and ‘guilty’ comrades of the Conspiracy of Cells of Fire, which has claimed a spate of bomb attacks since 2008 including the November parcel bombs, started under high security within the walls of an Koridallos prison in Athens on 17 January. For English language updates straight from the hard-working translators, go to the constantly updated actforfreedomnow or the CCF trial archives. The real defeat in a war is not captivity in the hands of the enemy, but capitulation, loss of conscience, surrender, penitence, statements of loyalty. Because that is where the game of power is played, in the moral decline and depreciation of its dissident opponents. It wants to force rebels to bend, to kneel, to conciliate to make clear that “every struggle is lost, all resistance is useless”. However the only fight that is lost is the one that never began. Its commands are clear. “You must not think, you must not resist, you must not fight”. And where its rhetoric does not work, either with the illusion of consuming frenzy, or with the threat of the violence of truncheons, guns and tear gas, there are the judicial “clergies” and correctional establishments ready “to accommodate” the most undisciplined for an indefinite time. They also want to send this message “we decide and we give the orders” inside the special political martial court that is judging the case of the Revolutionary Organization Conspiracy of Cells of Fire. There is no need for somebody to be an anti-authoritarian in order to see the overt fascism that prevails in the special court of Koridallos prison. The refusal to install microphones for the recording of the trial and the fact that the cops hold all the identities of the people who want to express their solidarity and stand next to the defendants are the “virtues” of the admirable world of democracy. Those that with their predatory appetites have “mortgaged” the life of an entire population, now speak about the “unsustainable cost of recording the trial” while simultaneously they are restoring in modern history the publication of new testimonial beliefs, by keeping the identities of the people that want to attend the trial, obviously in order to use them in no “innocent” way, but for the input of the Police and the Counter-terrorist department. The comrades of the Conspiracy of Cells of Fire : Imprisoned Members Cell and the dignified rebels P. Masouras and G. Karagianidis have highlighted the political and repressive policies of this trial a thousand times better than us. The essential wager that is being played at this moment on the part of the anarchists, revolutionaries, those in solidarity and undisciplined is to not allow power to make one more step towards strengthening its coup d’etat. The cell of the imprisoned members of C.C.F and the dignified comrades placed a limit of life and dignity by beginning a HUNGER STRIKE on 3-2-2011. The comrades turned the court of power into a victory not only for the Conspiracy of Cells of Fire but also for the wider revolutionary front. Everything that happened and everything that will happen constitutes the new legacy of courts and prosecutions that the system is preparing for its political opponents. Comrades…! In this court is being conducted one of the most important battles that goes far beyond the action and history of a revolutionary organization. The state “tests” the resistance and tolerance of the radical-subversive area. Certain coincidences, such as the facility with which the police and the public prosecutors fill the TV screens and the front pages of the newspapers with photographs of suspects, where it is proved afterward that these persons, such as the anarchist Fee Meyer or K.S. that was arrested as a suspect for a robbery in Thessaloniki and turn out to have no relation with these “charges” against them, are not accidental. (We add that for that particular robbery the anarchist Rami Surianos was arrested and for sure if he is innocent he deserves our solidarity, if guilty he deserve it a thousand times more). The new fashion of arrests of persons that are accused for unknown-anonymous terrorist groups, such as the case of the 6 and the arrest of the 4 comrades in Thessaloniki, is also not accidental. This witticism of the unknown-anonymous terrorist group, as anyone can understand, is an “elastic argument” that stretches and opens depending on the appetites and interests of power and the law enforcement authorities in order to justify the huge increase in future charges (special provisions of terrorism law). It was heard from the public prosecutor that in the case of F. Meyer “it is not reasonable to possess texts written by suspects for terrorism”. That is to say the possession of texts that are already published, that contain thoughts, concerns, proposals, regardless whether somebody agrees or not, is considered a punishable offence. Thus perhaps the season of the thought police is not far away. We must not forget that what gets used by the eye, gets used by the brain as well. Anyone can remember the reactions that existed to the first special court years ago for the Revolutionary Organisation 17 November, and compare them with the present trial. Now the fact that special courts exist seems to be normal and only a few react (a fact that honours them). Here exactly we must pass to the counter-attack. Exactly here we must stop getting used to retreating. Exactly here we must stop fearing the ghost of repression. The repression exists because action exists. Qualitative, quantitative and unrepentant action. Now it is our time. We, “the free”, all of us, anarchists and revolutionaries that say that we refuse this world, that we are fighting for freedom, that we are demolishing their false god that is money because ours is the human being, will we leave our comrades alone? Will we tolerate the fascist delirium of this worthless president (of the court) and her collaborators that pronounce “death” sentences for the comrades that go on hunger strike? There is no need for anyone to answer to himself with emotion. There is no space for emotion, or for humanitarian sympathies. It is a matter of a clear conscience. If the values and the moral code of persons that still believe in anarchy and her beauty, allows them to delay their attack and make up excuses, they should stay away from the affair We will not wait for them neither will history …. As a minimal expression of solidarity to the struggle of the imprisoned members of Conspiracy of Cells of Fire and the dignified comrades we sent an incendiary package to Justice Minister Harris Kastanidis who is responsible for the refusal of one of the two requirements of our comrades for the recording of the transcript of the trial. We will not answer his lies concerning the quantity of allegedly powerful explosives that he claimed for reasons of communication policy in order to present himself as victim. We will make do with repeating that the precautionary measures were the same as those of the previous 14 packets so that it is impossible for anyone uninvolved to be injured. Moreover, we want to say a few things about the recent events in the Law faculty. Finally we declare that from now the illegal sector of Conspiracy of Cells of Fire will also participate in the International Revolutionary Front – Informal Anarchist Federation. The explosive expression of solidarity at international level for the trial of C.C.F. and also the publications that put organizations such as the FLT-FLA (Mexico) [example 1 & 2 etc] and Praxedis G. Guerrero in their texts, we consider that they initiate powerful bases for the opening of a revolutionary dialogue through action, but also proposals of co-ordination. We send therefore the most powerful revolutionary greeting to the comrades revolutionaries in all the world with the belief that our voices and action can meet and coordinate our total attack against power. The sabotages in Turkey and the attacks of the informal cells of insurrection, the attacks in Chile, the letters with bullets in Madrid and Barcelona, the paint bombs on the Greek embassy in Austria, the arson of courts in Switzerland, the acts of solidarity in Poland, in Bristol, in London, but also in other places- heart of the capitalistic civilization (sources of counter-information culmine, viva la anarquia, act for freedom, 325, safa.espiv e.t.c.) fill us with strength and courage in order to continue. And not only, but also in order to commit through our participation in the Informal Anarchist Federation – International Revolutionary Front that the quiet days are over for ever. At the same moment the internal enemy in Greece, is developing, becoming more effective and is organizing for its confrontation with the system. 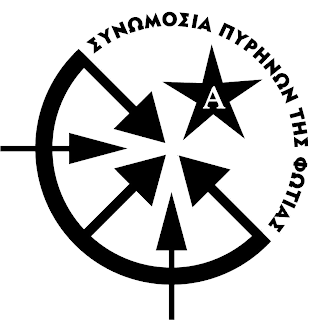 The attacks of the International Revolutionary Front – Deviant Behaviour for the Spread of Revolutionary Terrorism, Informal Anarchist Federation – Cell of Aggressive Line, Informal Anarchist Federation – Cell of Revolutionary Solidarity, Warriors of Revolutionary Conscience, Commando Lambros Foundas, revolutionary formations for the spread of chaos and other comrades, show that the prospect of international networking in the formation of the Informal Anarchist Federation and its values is effective here and now. Now every anarchist group can participate in this open platform of action and thought, contributing with its own way in its development and co-ordination. Also we send our warm solidarity to the anarchists Monica Caballero and Andrea Urzua Cid who are to be found in the women’s prisons of Chile and to all the arrested for the bombs – case, to the anarchists Adrian Magdaleno and Braulio Arturo Duran (jailed in Mexico), to our brother Gabriel Pombo Da Silva in prison of Germany and to Billy, Costa, Silvia, M. Camenich (prisons of Switzerland). “Love danger. What harder? That is what I want. Which road will you take? The most rugged uphill. Do not look for friends, look for comrades. On the 23 January 2010 the Chilean Embassy in Mexico received two explosive letter devices which were immediately noticed by Embassy civil servants, who then alerted the Secretariat of Mexican Public Security. The building was evacuated and 24 hours later Mexican police confirmed that the packets contained explosives and threats against the ambassador of Chile in Mexico – Germán Guerrero Pavez. The devices were neutralized. Autonomous Cells of the Immediate Revolution – Praxedis G. Guerrerro took responsibility for this latest attack against the Chilean State through an internet message. This incident has been ‘quietened down’ by the Chilean and Mexican governments, international media plus European authorities, who are not willing to give the “oxygen of publicity” to this latest attack on the global media-stage, during the precarious trial of the Conspiracy of Cells of Fire, after the December letter-bombs against various States, which hit international media headlines, prompting the Italian Informal Anarchist Federation to respond with two explosive parcels for the Chilean and Swiss embassies in Rome. Growing insurrectional tendancies will not be censored out of the media, nor will the attacks end. Anarchism will only spread, become more developed and will overcome the institutions of hierarchy and finance. Parcel bombs explode at the Chilean and Swiss Embassies in Rome. 1 mail-room employee in each embassy is injured. Parcel bomb sent to the Greek Embassy in Rome. It is intercepted and defused. -The various police departments, which will soon be backed by a European army, besides their traditional task of internal repression, have the basic mission of filtering the huge masses of poor people who want to step into Fortress Europe. In fact, only the workforce needed by the bosses is allowed to get in, the others are sent back to be exploited in their countries of origin. -A prison system, which is more and more crowded and widespread, is consolidating its main role into repression. It is the last bastion in defence of the system, whereas starving salaries and the last remnants of the welfare are not sufficient to stem the anger of the exploited. -Bureaucrats and politicians are always ready to plan and promote any adjustment that serves to keep the system alive. The actions carried out today, as well as the ones that will follow, are planned so as to avoid the possibility of striking innocent people. We will carry on demonstrating our profound hatred for the State and capital and our unbounded love for a world free from the dominion of men over men and of men over nature. We are not the only ones, nor are we the last. In every street, in the day and in the night, we see that the same destructive-constructive tension for a better world is growing. We were in Genoa, we were in Saloniki, we were on the Italian roads last night, and tomorrow we will be on new roads to fight the misery of the existent. Attack and destroy the responsible for repression and exploitation! Attack and destroy prisons, banks, courts and police stations! Revolt is contagious and can be reproduced! Social war against capital and the State! We have created the Informal Anarchist Federation, that is to say a federation formed either by groups of action or by single individuals, in order to go beyond the limits implied in single projects and to experiment the real potentialities of informal organisation. We strongly believe that only a chaotic and horizontal organisation, without bosses, authorities or central committees taking decision, can fulfil our need for freedom here and now. Our goal is to have an organisation reflecting the view of the anarchist society, which we struggle for. This is intended as an instrument and not as the copy of some old armed party or as an organisation looking for adepts. If it were not an instrument to be used for testing the efficiency of informal organisation and its capacity of strengthening quality and continuity of the revolutionary action, it would be absolutely useless and would certainly die out. Through widespread actions it is possible to conciliate organisation and theoretical/practical debate on the one hand, and the anonymity of groups/individuals on the other. Actions, in fact, besides bringing their specific message of destruction/construction, also propose other kinds of message, such as the ones implied in their methods and instruments. In this case the damage caused does not matter. We are aware that it will not be a well-armed minority group that will stir up revolution, and we are determined not to postpone our insurrection waiting for everybody to be ready: we are more and more convinced that a simple direct action against institutions is more effective than thousands of words. FEDERATION because of its widespread horizontal structure, that is to say federation of groups or individuals, free and equal men and women bond together by common practises of attack against dominion and aware that mutual support and revolutionary solidarity are instruments of freedom. Relationships inside the federation are stable and flexible at the same time; they evolve continuously thanks to the ideas and practices brought in by new individuals and groups that will join. We do not want any democratic federation, as this would involve representatives, delegates, official meetings, committees, and organs implying the election of leaders, charismatic figures and the imposition of specialists of speech. In the informal federation, communication must be based on a horizontal and anonymous debate, which will come out of the practise (claims of actions) and of the widespread of theories through the means of communication of the movement. In other words, the meeting will be substituted by an anonymous and horizontal debate between groups or individuals who communicate through practise. The federation is our strength, that is to say the strength of groups or individuals that help one another through a well-defined pact of mutual support. ANARCHIST because we want the destruction of capital and the State. We want a world where only freedom and self-organisation ‘dominate’, and a society where exploitation of men over men and of men over nature does not exist. We strongly oppose any Marxist cancer, which is nothing more than a fascinating and dangerous siren that claims freedom for the oppressed but actually denies the possibility of a free society and just substitutes one dominion with another. INFORMAL because we do not believe in vangards nor do we think that we are an enlightened active minority. We just want to live as anarchists here and now and this is why we consider the informal organisation as the only kind of organisation capable of preventing the creation of any authoritarian and bureaucratic mechanism. It allows us to keep our independence as individuals and/or groups and to resist power with continuity. The Informal Anarchist Organisation practises the armed struggle but it refuses classic monolithic organisations implying a base, regular and irregular members, columns, executive cadres, huge amounts of money and living on hiding. We think that this kind of structures is an easy target for power. In fact, an infiltrated cop or an informer is sufficient to have the whole organisation or a good part of it collapsed like a house of cards. On the contrary, as the informal organisation is formed by 1000 individuals or groups that do not know one another (as they recognize one another through the actions they carry out and the mutual support bonding them), if by some unfortunate chance infiltrators or informers should come out, this would affect a single group without spreading to the others. Furthermore, whoever takes part into the Informal organisation is a militant only when preparing and carrying out an action. The organisation, therefore, does not affect the entire life and projects of the comrades so that all kinds of armed-struggle sectarianism are avoided. Once we are well rooted, power will find it very difficult to destroy us. Each group of action in the Anarchist Informal Organisation is engaged in showing revolutionary solidarity to comrades who are arrested or are on hiding. This solidarity will show itself mainly through armed action and the attack against men and structures responsible for the imprisonment of comrades. Solidarity will always be practised as an indispensable feature of anarchist way of life and action. Of course we do not refer to legal and technical support: bourgeois society offers a sufficient number of lawyers, social workers and priests, which means that revolutionists can be engaged in another kind of activities. When a group or individual starts a revolutionary campaign through the deeds and related communiqués, other groups and individuals in the Anarchist Informal Organisation will follow according to their methods and time. Each group or individual can launch a struggle campaign on specific targets through one or more actions signed by the single group or individual and by the claim of the Federation. If a campaign is not agreed by the other groups, the critic will show itself through actions and communiqués that will contribute to correcting or discussing it. The groups of action in the Anarchist Informal Organisation are not required to know one another. This will avoid repression to strike them and possible leaders or bureaucrat from emerging. Communication between groups or individuals is carried out through the actions and through the channels of the movement without them to know one another directly. P.S. 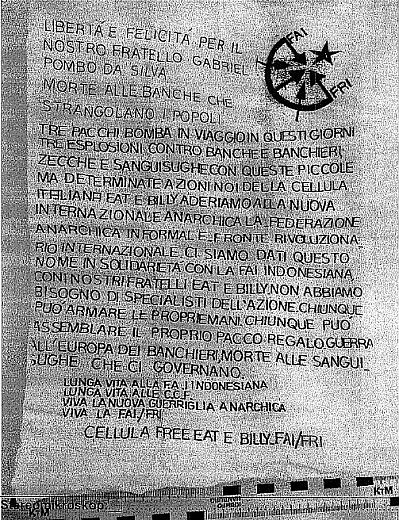 Any reference to the FAI Italian Transport Workers Federation (Federazione Autotrasportatori Italiani), to the FAI Italian Anarchist Federation (Federazione Anarchica Italiana) and to the FAI Italian Fund for the Environment (Fondo Italiano per l’Ambiente) is a pure coincidence. We apologise to the people concerned. “The Chilean boy wounded by the letter bomb is Cesar. A comrade and a friend involved with the experience of Ciclofficina Popolare (people’s bike workshop) of the Ex Lavanderia (the former laundry). Suddenly, for us, the natural compassion for an injured person is no longer tempered by anonymity. Behind this story of national importance there is a person whose name, face and voice we know. New first letter from the imprisoned fighters of the Conspiracy of Cells of Fire who were arrested in the 1st Nov. 2010 ‘letter-bombs’ case, which sparked international attention from mainstream global media and their overseers. Previous : Statement of the two comrades accused for the letter-bombs in Athens. The two arrested yesterday (1 November 2010) accused of sending letter-bombs to embassies in Athens will appear in front of the interrogator on Thursday 4/11/10 at 10am. The two comrades declared to the interrogator today that they do not recognize the procedure and that they do not apologize. The interrogator gave them until Thursday when they have to re-appear. According to their lawyer Gianna Kourtovik, they kept the same attitude at the police h/q as well. The parents of the two accused who were called to identify them denied to appear. The State is the Terrorist – Revolutionary Solidarity to the Insurgent Fighters.